Club Penguin Cheats by Mimo777 Club Penguin Cheats by Mimo777: Club Penguin Mountain Expedition News! The Club Penguin Mountain Expedition will be here today and the newspaper has revealed more details about this climb of our lives. This will not be the Tallest Mountain we are climbing, but could be the Toughest Mountain! For this challenge, you will be needing proper equipment, friends and bravery! We will even be able to earn stamps for our Stamp Books during some of the challenges! 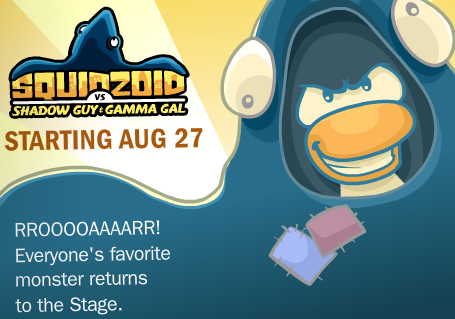 Be sure and check out the upgrades for your igloos next week for the latest in music, furniture, iggy designs and, of course, all the cheats! Check out what returns to the Stage this month! Woot! Wow, there is lots of news! Be sure and let me know what you think the challenges will be in the Mountain Expedition, the new igloo designs and if you are glad Squidzoid will be returning, k? Brand NEW Virtual World! Try it now! hey mimo, are you a member? I was wondering if you can come to my party on club penguin today? Awesome i cant wait for mountain expedition!!!!!! Can you give me and anwer pleasee if you are coming to my party today? Please reply to me!! well (not to be rude) but remember last year the hot air baloon was for members only too, but hey u still get in the camp thing, and if i was alowed i whould have gotten u a free iteam from the top, and mabey u might win the member contest mimo is having. can't wait for the expadition!! Come to my party today. Time: Noon Penguin Standard Time. Also, did you know that Penguin Standard Time is the same as USA Standard Time. Anyway, I'm so happy that Squizoid vs Gamma Gal & Shadow guy is back because i want to get the Camera so I get a stamp! 1. Extend the party! Music Jam was 9 days, lets make this 9 days also! 2. Please have tons of free items! 3. Member only? I knew it was coming. 4. Bring back the log cabin igloo, its warm and toasty for this expedition! This play has returned a hundred times!So boring! Sweet, seriosuly can't wait for tomorrow :D Hope there's a Super Climber's Suit and a cool looking camp up there :D And maybe some cream pie, and spaghetti... Hmm. Saweet! Just for the occasion. ;-) I wonder how much of my membership is left...? Sorry, I don't think Mimo can make it! If he went to all his fans' parties, he wouldn't have enough time for this website! But hey, you never know! Maybe you'll get surprised today! Same here! It's going to be pretty epic! even though it's not the biggest mountain. BUt it shall still be EPIC. Please don't put too many exclamation marks, lol! Yeah, for once I think it is. Non members miss out on the WHOLE climb? Not cool! Sorry, but I don't think he will be able to make it! But you may be surprised! Actually, CP updates early! So if they do it for this, it will come out today, the 12th! :O Nobody has said that yet! I didn't even think about it! GREAT idea! I bet you all my jelly beans it's true! Lol! Mimo is a member! He used to be a non member, but he became a member when CJ Fire came out. I think. And then the outfit stuck! So he still has it today. That might be right! Although someone a few comments back had an awesome idea, that it would be CJ Snow! I mean, mountain expedition? Volcano? It all makes sense! Someone is grumpy today. LOL. Myabe all the members will fall of the Mountain and then you can laugh at us! Way to go! You are right! They can't just bail on member stuff! =) I think lot's of ppl could learn a lesson from you. Very nice of you for posting my comment but is it possible if you can reply to it if you are coming to my party today? Umm... there's nothing called USA Standard Time! There are 6 time zones in the USA. EST, CST, MST (I think), and PST! Pacific Standard Time is the same as PST! :D So you were partly right! Lol, sorry for the lecture! I'll try to make it to your party! Yeah! That would be fun! 9 days! Or maybe... 10! I know, it's a crazy thought. I'm sorry for thinking so crazy. LOL. Yeah, but it's an awesome play! I looove it! I mean, a giant squid battling two tiny penguins! LOL! 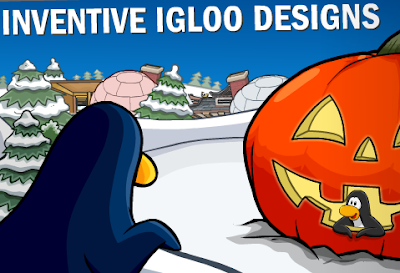 i really hope they bring back alot of the rare igloos! 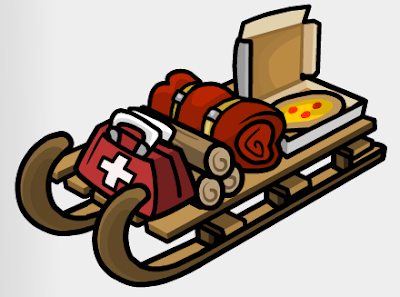 hey I hope after this we'll discover card jitsu snow or ice and then they might make card jitsu fie for all players. i know its wishful thinking but still - someone should suggest that to cp!! whats so great about shadow guy and gamma gal returning?, ive seen that play 3 times now and its boring when you've seen it once, trust me after that play is gone none of the items are worn (expect camera), if you ask me they should bring out team rally play because i've been dying to get the band member hoodie in white! i think they should do a card jitsu game for non-members: CARD JITSU EARTH because its one of the elements AND the game will be ONLY for non-members (you know when you get that irritating sign that says "you must be a member to access this room" , buy membership. it should be "to access this room you must be a non-member, yeah they to have some respect to! ", cancel membership) the card would be like card jitsu BUT you're chased by orges and stuff and you have to defeat bosses, thats way cooler than standing on red rocks and jumping about on top of a volcano!, that would make it fair to both sides!